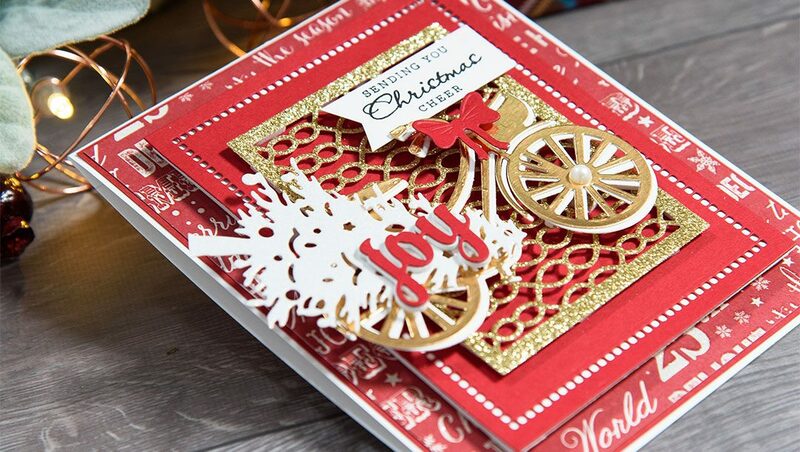 I’m back with another Christmas card idea mixing and matching dies from several Spellbinders’ die sets. Similar to a previous Holiday card I shared, by changing up the papers to non Christmas, taking out the Christmas Tree and using a non holiday sentiment this card design can be easily adapted to any other season or occasion. 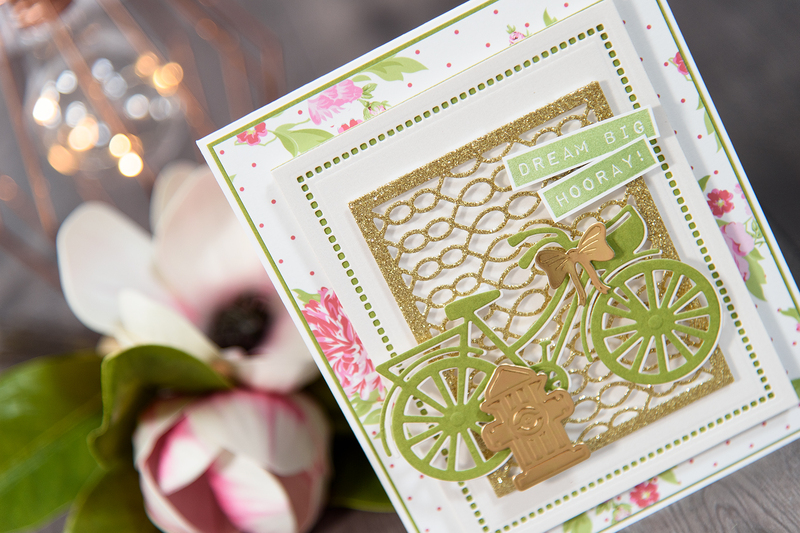 In fact, here’s a card I quickly put together using same dies and layout just to give you additional inspiration. In addition to the dies I used to create Christmas card (I have them listed below) I also used a fire hydrant from the Fido die set. 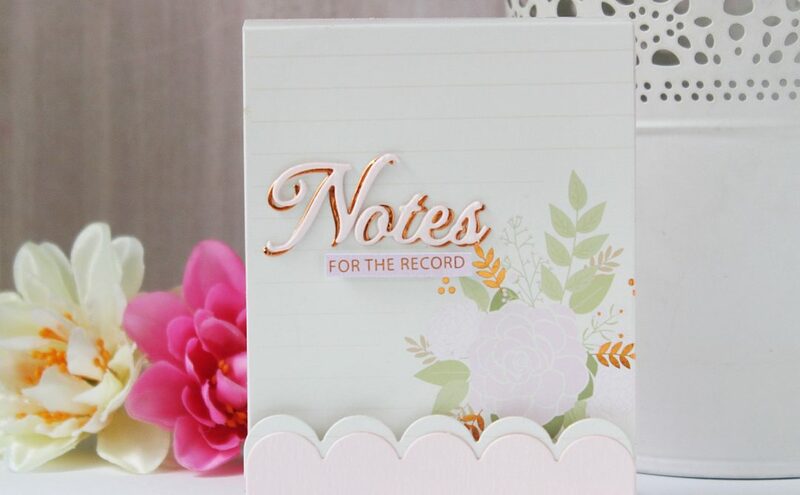 My sentiment came from Mama Elephant – Labeled Messages stamp set and was stamped in Avery Elle Jungle ink color. 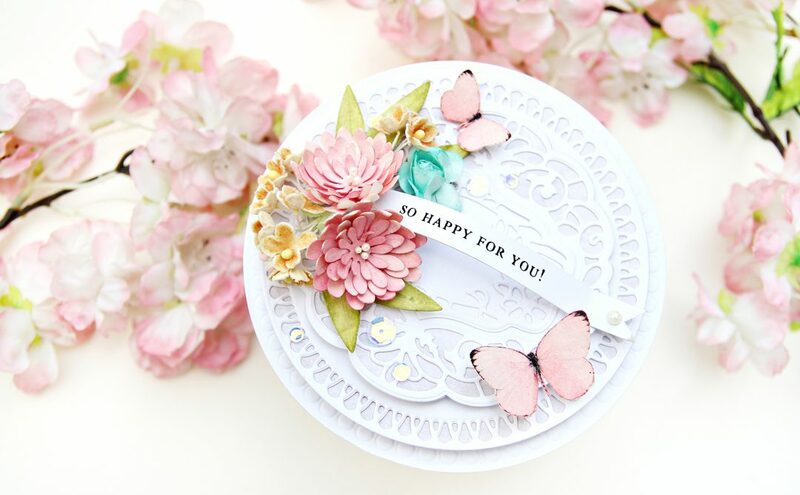 The background patterned paper came from the Pretty Posy 12×12 paper paper from First Edition. 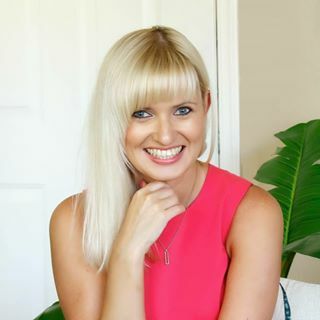 So don’t limit yourself to just one season – there are many different ways one design can be interpreted and stretched to work all year round. 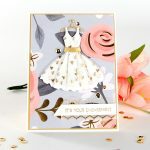 I started working on my card by doing all of my die-cutting first. I used two largest dies from the Hemstitch Rectangles set to die-cut a red panel with a beautiful decorative hemstitch edge. I just love this die design and I feel you’ll see me use it over and over again if you haven’t already. 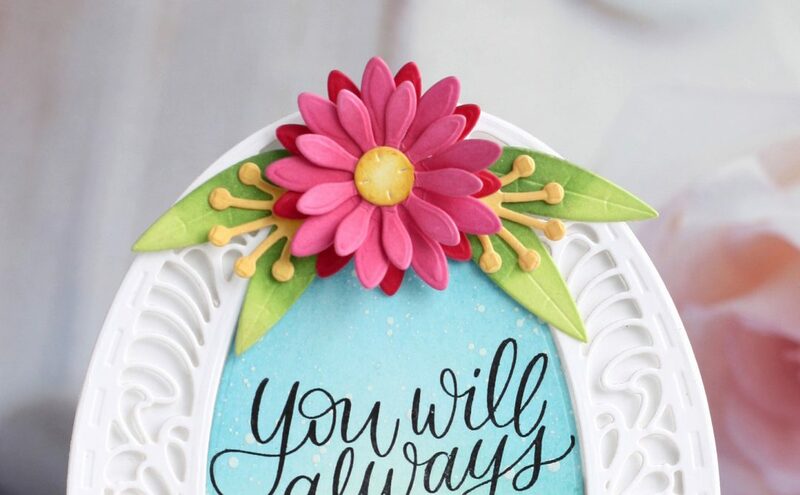 I also die-cut a white cardstock panel to layer under my die cut. 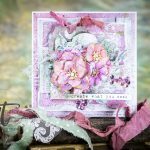 I wanted to have white show through the hemstitch squares and not patterned paper I used for my card. Next, I cut Gossamer Knot rectangle out of gold glitter paper. I absolutely adore this die and even though it wasn’t designed as a holiday one it works wonderfully for Christmas projects. I also die-cut a bicycle out of white and gold foil cardstock. 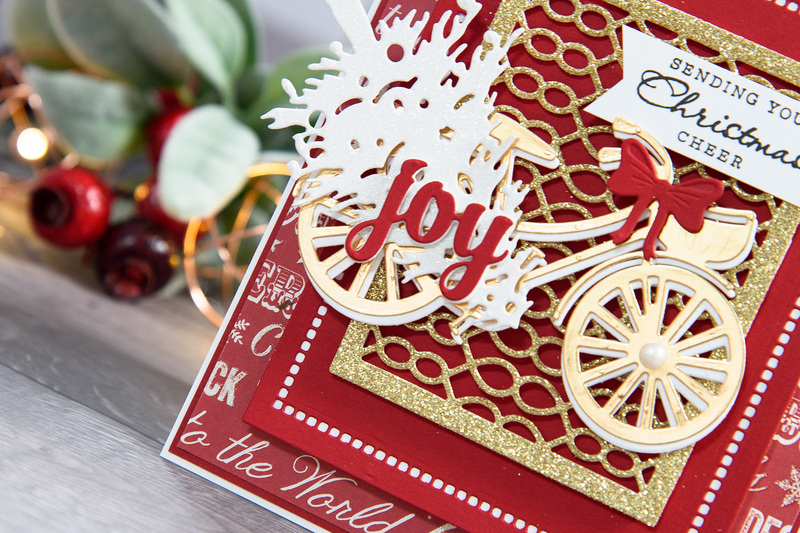 The inspiration for this project came from a photo a saw on Pinterest and I’m sure you’ve all seen it, too – a car or a truck with a Christmas tree on its roof. 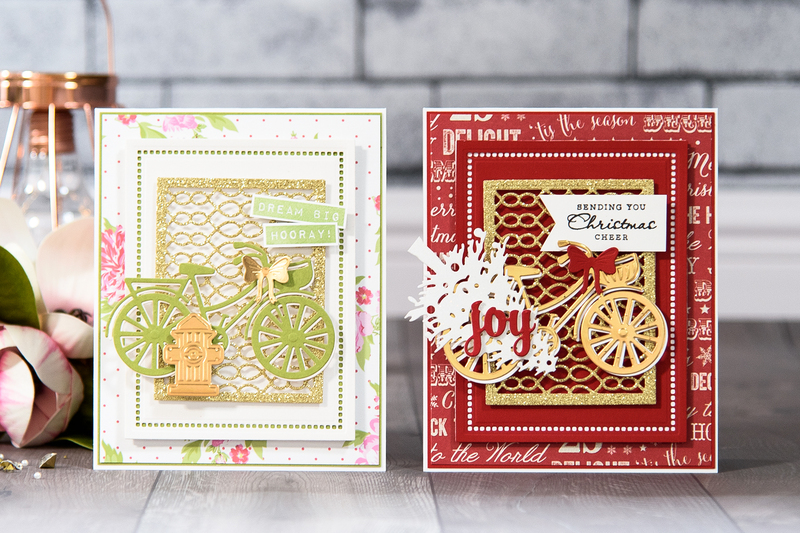 I wanted to do something similar so I decided to use this bicycle die instead. 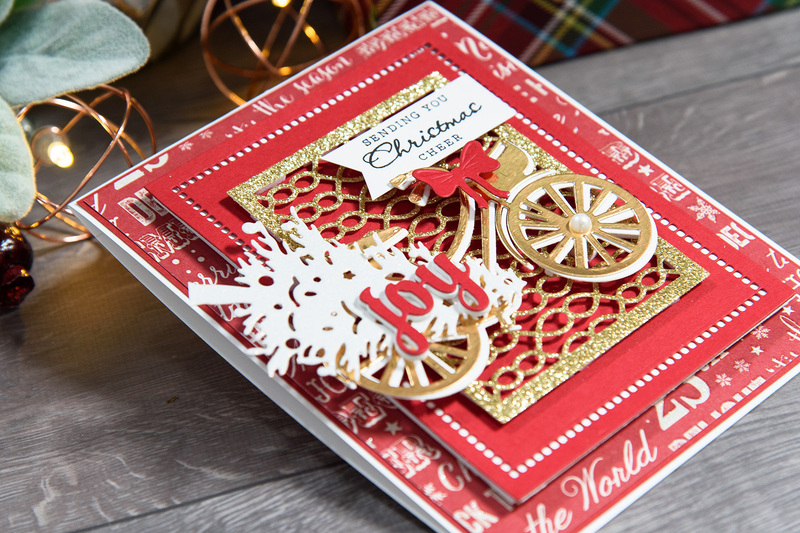 Another element I cut for this card is of course a Christmas tree. I used a tree from Deck The Hall set and cut it out of white glitter paper. This die will also cut little gifts and a star on the top of the tree – I didn’t need those elements so I trimmed them off with scissors. The last two pieces I cut out were a little red bow and a word “Joy”. I cut the latter out of red cardstock that has been adhered onto fun foam with double sided sticky sheet on the back to make it easier to adhere it in place. 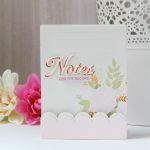 I like to use Scrapbook Adhesive Adhesive Sheets or Stick it adhesive sheets when I need to adhere cardstock to fun foam and add a sticker to my die cuts. 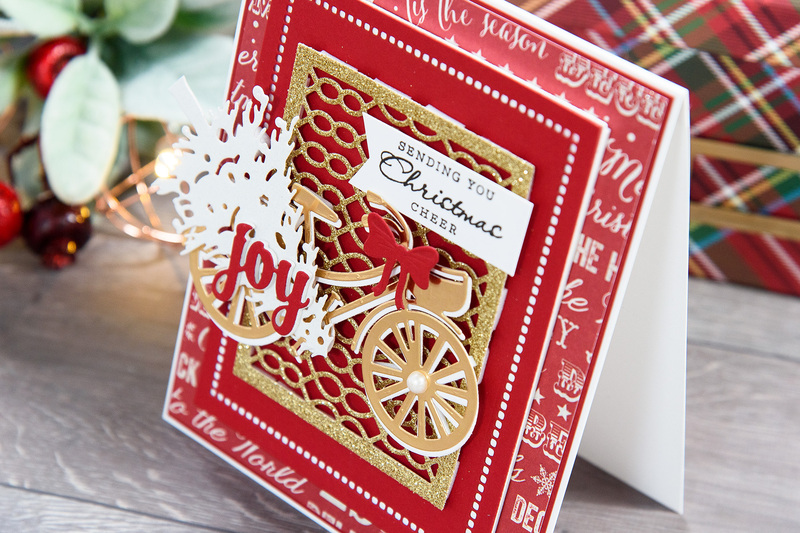 When you go to put your card together you can also wrap baker’s twine around the Christmas Tree and the bicycle to make it look like the tree is tied to the bike for a fun and interesting touch. First Edition Christmas Wishes 8×8” Paper Pad; Cardstock: Neenah Solar White 110 LB cardstock, My Colors Cardstock Red Cherry 12×12 cardstock, White Glitter Cardstock, Gold Glitter Cardstock, Gold Foil Cardstock; Self Adhesive White Pearls; White Fun Foam; Stick It Double Sided Adhesive Sheets; Adhesive: Scrapbook Adhesives 3D Foam Squares; Hero Arts Holiday Christmas Messages Clear Stamp; Versafine Onyx Black Ink Pad. 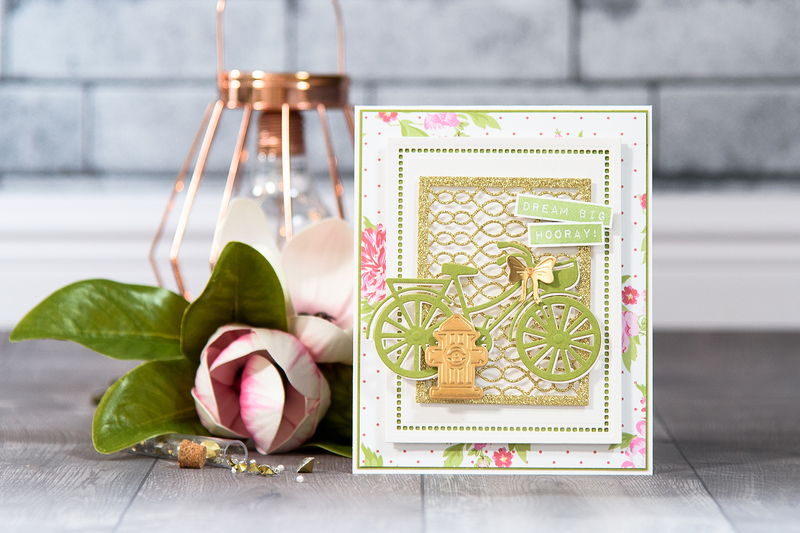 Lovely card & cute idea with the tree on the bike instead of a truck!